Since his gold medal win at the Thirteenth Van Cliburn International Piano Competition in 2009, Haochen Zhang has captivated audiences in the United States, Europe, and Asia with a unique combination of deep musical sensitivity, fearless imagination, and spectacular virtuosity. In 2017, Haochen received the prestigious Avery Fisher Career Grant, which recognizes talented musicians with the potential for a major career in music. Haochen has already appeared with many of the world’s leading festivals and orchestras including the BBC Proms with Yu Long and the China Philharmonic; the Munich Philharmonic with the late Lorin Maazel in a sold-out tour in Munich and China; the Easter Festival in Moscow by special invitation of Maestro Valery Gergiev; the Sydney Symphony and David Robertson in a China tour; and the NDR Hamburg and Thomas Hengelbrock in a tour of Tokyo, Beijing, and Shanghai. Highlights of the 2018-19 season include his debut with the Lucerne Festival Orchestra, an Asian tour with Philadelphia Orchestra, and performances with the National Philharmonic, Hong Kong Philharmonic, San Angelo Symphony, Guangzhou Symphony, China Philharmonic, Shanghai Symphony, and Spokane Symphony, in addition to recitals in Berlin, Paris, Madrid, Lucerne, and Brussels, among others. In recent seasons Haochen recorded a recital CD, released by BIS Records in February 2017, which includes works by Schumann, Brahms, Janacek, and Liszt. He gave extensive recital and concerto tours in Asia with performances in China, Hong Kong, and Japan. 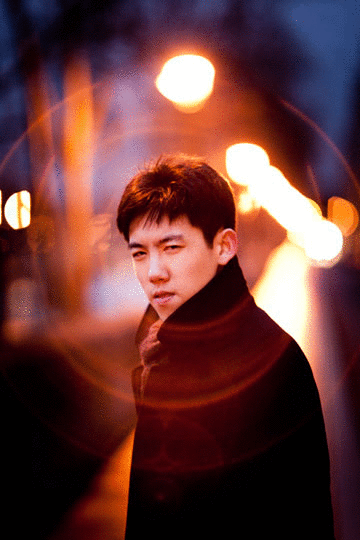 In October 2017, Haochen gave a concerto performance at Carnegie Hall with the NCPA Orchestra, which was followed by his recital debut at Carnegie’s Zankel Hall. Haochen Zhang has performed with the Philadelphia Orchestra, Munich Philharmonic, London Symphony, London Philharmonic, WDR Symphony Orchestra, Frankfurt Radio, San Francisco Symphony, LA Philharmonic, Pacific Symphony, Kansas City Symphony, Seattle Symphony, Israel Philharmonic, Sydney Symphony, Japan Philharmonic, Singapore Symphony, Mariinsky Orchestra, Warsaw Philharmonic, Taiwan Philharmonic, and Hong Kong Philharmonic orchestras. In recital, he has performed at Spivey Hall, La Jolla Music Society, Celebrity Series of Boston, CU Artist Series, Cliburn Concerts, Krannert Center, Wolf Trap Discovery Series, Lied Center of Kansas and UVM Lane Series, among others. Haochen is also an avid chamber musician, collaborating with colleagues such as the Shanghai Quartet, Tokyo Quartet, Brentano Quartet, and active, young soloists such as violinist Benjamin Beilman and cellist Aurélien Pascal. He is frequently invited by chamber music festivals in the United States including the Santa Fe Chamber Music Festival and La Jolla Summerfest. Haochen’s performances at the Cliburn Competition were released to critical acclaim by Harmonia Mundi in 2009. He is featured in Peter Rosen’s award-winning documentary chronicling the 2009 Cliburn Competition, A Surprise in Texas. Haochen is a graduate of the Curtis Institute of Music in Philadelphia where he studied under Gary Graffman. He has also been studying periodically with Andreas Haefliger in Vienna. He was previously trained at the Shanghai Conservatory of Music and the Shenzhen Arts School, where he was admitted in 2001 at the age of 11 to study with Professor Dan Zhaoyi.